Walker & Hall has over 40 years experience in the treatment and management of all musculoskeletal conditions, i.e., bone, joint, muscle and nerve problems. We pride ourselves on working to exceptionally high standards, using evidence-based practice, to ensure that we can be as effective as possible in aiding your recovery.At no point will you be encouraged to re-attend for unnecessary treatment. No Referral Required – Just Call Us! You do not need a referral from your GP / Specialist to be treated at Walker & Hall Chartered Physiotherapists, unless it is required by your insurance company.Thank you for taking the time to visit our site, we hope you find the information helpful, if we do not fulfil your requirements or you are still unsure whether you need physiotherapy treatment please contact us (opens up links to contact page). to provide you with a professional evidence based treatment programme that is specifically tailored to your needs. You will be involved in all stages of the decision process, the treatment will be explained to you and your opinion will be respected at all times. 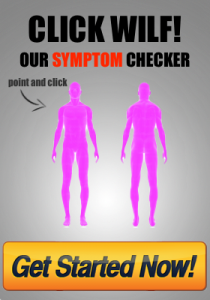 to help you to return to a pain free life as soon as possible, by targeting the cause … not just the symptoms.